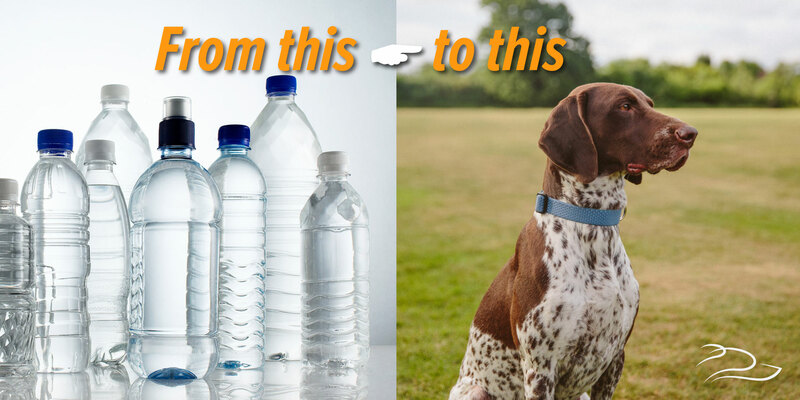 Dog collars made from recycled plastic bottles! Whilst researching products to add to the Dogfit range for active dogs, we came across these gorgeous Eco collars. 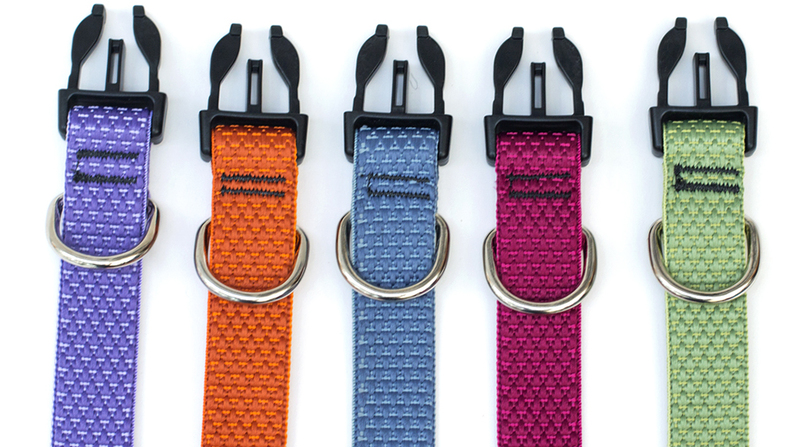 The first thing that caught our eye was the lovely colour range – they are completely different from the conventional primary colours that dog collars usually come in. Best of all though, is the fact that they are made from recycled plastic bottles! Lilac, Orange, Blue, Rasberry and Moss – Great colours! You may think that they sound as if they are really hard and rigid, but in fact the unique two tone weave is very soft as well as being very strong. The collars are made by melting down plastic bottles and then the hot liquid is formed into tiny threads. Those threads are then dyed and twisted together to make each string you see woven into the collars. For any product to come into our range, it has to stand up to the wear and tear of an active dog. So we tried them out on the Dogfit dogs and we all love them! Tried and tested by Coco! Coco has really put hers through it’s paces, in and out of the water – through the undergrowth and it still looks like new. The clip is easy to close and unfasten and there is a stainless steel ring to clip the lead onto. They are also fully adjustable too for a really good fit. 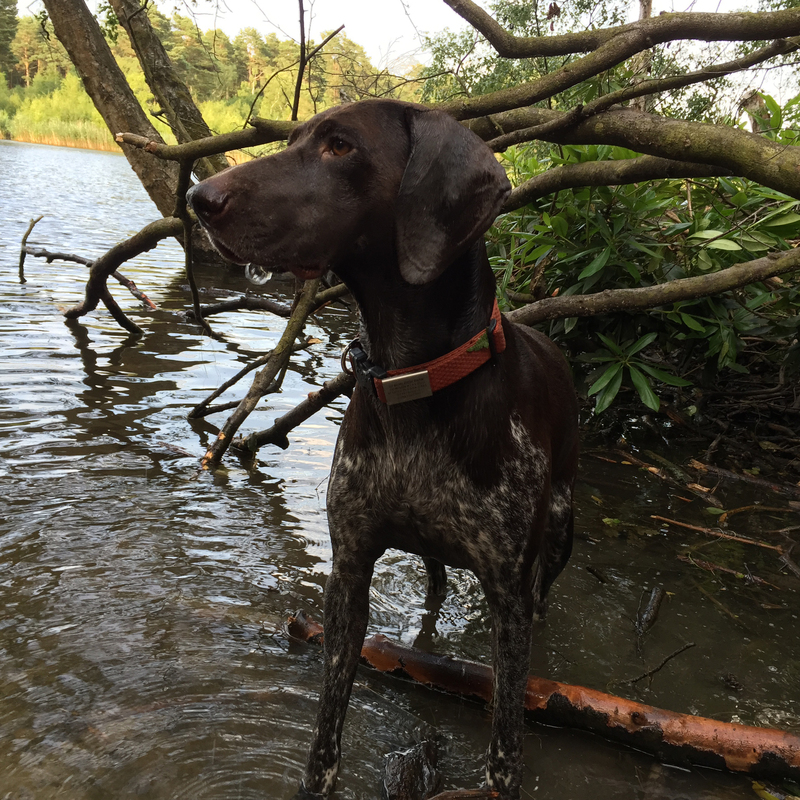 Not only do they look really smart (I get asked all the time about where the collar came from) they also come with a full lifetime guarantee – you can’t get much better than that. You can find them here on our website.